This page will explain the financial aid process at Buffalo State. Students are strongly encouraged to apply for aid early each year. Buffalo State's priority filing deadline is March 1 for the following Fall Semester. Financial Aid Timeline: will help you to stay on track in a two-page, printer-friendly format. Bill Estimator: An Excel-based calculator that will estimate your out-of-pocket expenses each semester. Cost and Aid Worksheet: Will show you how to calculate your out-of-pocket costs step-by-step. Cost Calculator: Estimate your costs for one semester using this online calculator. Understanding the SUNY Award Letter Video - this video help explain the various components of your award letter. SUNY Smart Track Financial Literacy Program: This is a free online site which teaches students about smart budgeting, borrowing, and other financial topics. Help Navigating Banner: This page provides resources on how to accept aid, check requirements and more. Accepted Students Checklists: This provides students with everything they need to do across various offices on campus once accepted. October 1: FAFSA and TAP applications become available for the upcoming fall semester. Federal Deadline: Valid FAFSA must be received by the college before the student's last date of enrollment during the academic year. Students should complete the 2019-2020 FAFSA using their 2017 federal income tax data. Applying for federal aid begins with the Free Application for Federal Student Aid (FAFSA). The FAFSA is a student's application for all federal grants, work-study, and loans. The only official site to complete the FAFSA is fafsa.gov (if you go to a site that charges a fee or asks for credit card information, you have gone to the incorrect site). The FAFSA must be completed every year, beginning October 1 for the following fall semester. Students and parents of dependent students will need a Federal Student Aid (FSA) ID and password to sign the FAFSA. Parents use their same PIN for all children. The FSA ID and password replaces the PIN previously used to sign the FAFSA. This change was implemented in June 2015. Individuals that choose to not use an FSA ID and password may print the signature page and mail to the federal processor. Signing electronically is the preferred method. Applicants and parents of dependent applicants can sign the FAFSA form by printing, signing, and mailing a signature page. The student signature should match the student name printed on the signature page. The parent signature should be from one of the individuals whose information was provided in parental FAFSA data fields. Signature pages must also contain an original signature (no photocopies of signatures are acceptable). When FSA receives a paper signature page via U.S. mail, the signature page is evaluated to determine if signatures are valid before they are designated as received in the system. Signature pages are rejected if they do not contain applicant or parent signatures OR if the signatures on the page do not meet specific rules and guidelines. Approximately three business days after completing the FAFSA, you will receive a notice by email that your Student Aid Report (SAR) is complete. This form summarizes all the information that was provided on the FAFSA and gives further instructions. If you are unable to be reached by email, the federal processor will send you a paper copy. Corrections to your FAFSA can be made online. Corrections usually take two to four weeks to be processed if done via paper and less than one week if done electronically. FAFSA and TAP applications run from October 1 (preceding the upcoming fall semester) through June 30 of the following year (21 month filing window). For example, for the 2018-2019 school year, students may submit their FAFSA between October 1, 2017 through June 30, 2019. Although the deadline date to apply is June 30 of each academic year, a student must have a valid FAFSA on file with the college and be currently enrolled to receive federal aid. This means that if a student does not have a valid FAFSA in place prior to the last day of classes, they become ineligible to receive aid. If a student is requesting loan money, processing time of at least a week prior to the last day of classes is necessary to ensure eligibility to receive funds. Students who withdraw from a term and then submit a valid FAFSA when they return in a later term will only receive aid for the latter semester. October 1: TAP applications become available for the upcoming fall semester. The FAFSA must be completed first. TAP stands for Tuition Assistance Program and is a grant program through New York State. At the end of the FAFSA, you will be given an opportunity to complete the TAP application if you are a New York State resident and have listed a NY school on the FAFSA. If you do not complete the TAP application within 24 hours of completing the FAFSA, you will need to wait for your FAFSA to be processed and then complete the TAP application. You will also receive an email from TAP when this can be completed. Buffalo State is listed as SUC Buffalo (Undergraduate) on the TAP Application. The TAP school code is 0905. TAP can only accept one (1) school code on the application, unlike the FAFSA which can accept ten (10). Students will need to create a user id and PIN the first time logging in. It is helpful to use the same PIN as the FAFSA. TAP requires students to be full-time (12 credits) to be eligible. Must be eligible New York resident. Acceptance to College: Buffalo State Freshmen Merit Scholarships are awarded by the Admissions Office when the student is admitted. Beginning Junior Year of High School: Students should begin their search for scholarships at least one full year in advance of starting college.  Review the Scholarship Page for more information on scholarships offered by Buffalo State and tips to begin your external scholarship search. Best wishes! 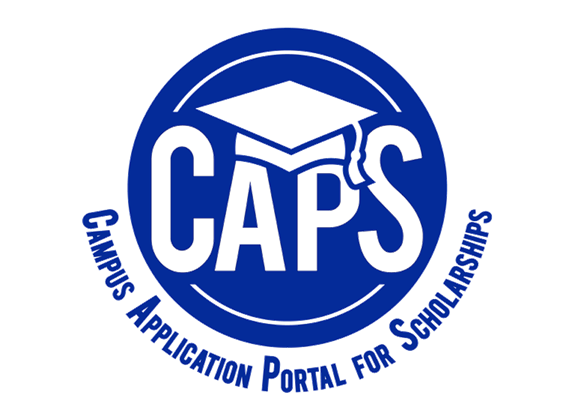 CAPS is Buffalo State's scholarship system. Be sure to log in and create an application each year in January. This is available to all accepted and current students. Beginning mid-October: Award notifications are e-mailed to newly accepted students. Beginning mid-Novemeber: Requests for additional documentation are mailed to newly accepted students and continuing students. Beginning mid-February: Continuing Buffalo State students will receive their award notice. Be advised that aid with limited funding will be reserved for continuing students. New Students: New students will be emailed a notification when their award is viewable in Banner (Buffalo State's student portal). New students will receive an email at the address used on their application to the college or other student-reported email on file. Continuing Students: If the Financial Aid Office does not need additional documents, a continuing student will be emailed a notice that their financial aid has been awarded and to view it in Self-Service Banner. Tip: If a student does not receive an award notification or a request for additional documentation within one month of submitting the FAFSA, something may be wrong. The student should contact the school. In Banner, students have access to two different versions of their award letter: The SUNY Award Letter and the NYS Award Information Sheet. Be advised that the aid displayed on each is the same; however, they present the data slightly differently. The SUNY Award Letter distinguishes between direct and indirect costs where as the NYS Information Sheet does not. A direct cost is a cost that the student will be billed for by Buffalo State, and an indirect cost is an expense they are likely to incur, but not billed by Buffalo State. Additionally, the SUNY Award Letter shows the student's eligibility by term while the NYS Information Sheet shows the annual amount only. Finally, the NYS Information Sheet contains two additional pages. These additional pages contain a glossary of terms and the expected costs for the student to complete their degree at Buffalo State. The video below shows the SUNY Financial Aid Letter rather than the NYS Information Sheet. Students can access the SUNY Award Letter by logging in to Banner and then choosing: Financial Aid » Award » Award for Aid Year » Select Year » Print SUNY Award Letter. New Students: If additional documentation is required, new students will receive a letter via the US mail describing what else is required. If the requested documents are not submitted in a timely fashion, any aid previously awarded to the student will be canceled. Continuing students will receive email notices that they have "outstanding requirements" and need to log into self-service Banner to view them. Typically, continuing students must provide the documentation before an award package will be generated. Verification: Verification is a process required by the federal government where the Financial Aid Office collects documents from the student (and parents of dependent students) to compare against the FAFSA. Approximately 30 percent of students go through this process and it does not signify a problem with your application. Other Requests: If a student or parent’s information cannot be validated by the federal government, the Financial Aid Office must collect documentation to resolve the issue(s), such as copies of social security cards or birth certificates. Requirements are viewable in Banner. For help with this please refer to the Completing Your Financial Aid Eligibility Requirements guide. Students should carefully review the aid offered to them in their award letter upon receiving it. If students have questions, they should call the Financial Aid Office. Students should take care that when comparing their award offers at various schools, it is important to compare the net costs not the amount of aid offered. The examples below illustrate what a student's fall 2018 bill looks like at various family income levels. Bill Estimator: Estimates out-of-pocket expenses each semester. Cost and Aid Worksheet: Determines the out-of-pocket costs from the student's award letter. In limited cases, the Financial Aid Office can make adjustments to a student's FAFSA to accommodate for a loss of income or special circumstance. Disclaimer: Students are reminded that the award package is an estimate of aid eligibility and is subject to change. May 1: New Students typically have until May 1st to accept their aid package. Students accepted after May 1st have 30 days after their college acceptance date to submit their admissions deposit and accept aid. July 1: All students that have been awarded federal work-study must accept it by July 1. All students planning to use federal financial aid to help pay for college must accept the Terms and Conditions of Federal Aid before they can accept/reduce/decline the aid offered to them. Students should accept, reduce, or decline the financial aid awarded to them as soon possible (preferably by May 1). Aid is accepted, reduced, and/or declined using Banner. Students do not need to accept all loans offered to them and are encouraged to only borrow what is needed. Students should exhaust subsidized loan funds before borrowing unsubsidized loans. Refer to the video below for help accepting aid. The Financial Aid Office will assume that students that do not pay their admissions deposit by the deadline are not attending Buffalo State and cancel their financial aid. Continuing students will not have their entire aid package canceled unless they are not enrolled, enrolled in an insufficient number of credits after add/drop week, or otherwise deemed ineligible (e.g., not making satisfactory academic progress). Tip for All Students: Once a student accepts or declines an award in Banner (e.g., loans), they cannot change it. In these cases, please contact the Financial Aid Office in writing so we may re-offer the desired loan to you to accept. Summer: Fall semester bills are typically due in August, so it is best to have additional loans, scholarships, or a payment plan secured beforehand. If the aid offered, coupled with current family resources, is not enough to cover the cost of attending, then consideration should be given to the options listed below. The Estimated Cost and Aid worksheet can also help to determine out-of-pocket costs. Federal Parent PLUS Loan - A federal loan a parent borrows and repays on behalf of their dependent student. If a parent's credit is denied, the student can be offered an additional unsubsidized Direct Loan. Private/Alternative Loan - This is a private loan the student borrows and repays. Private loans require the borrower to be credit-worthy or have a credit-worthy cosigner. Scholarships - Students are encouraged to apply for scholarships beginning in high school (junior year). Automatic Payment Plan - The Student Accounts Office offers a payment plan that divides the amount due into multiple payments. Students should complete all loan requirements by August 1 to ensure the loans show as a deferment on their student bill. Students must also accept the loans in Banner in addition to completing the requirements below. Note that not all students will have all loan types offered to them. Parents of dependent students that are applying for a PLUS loan must log into the website using their information; the parent is the borrower. Graduate students (pursing a master's degree or graduate certificate) whose Direct Unsubsidized loan eligibility is not enough may apply for a Grad PLUS loan. Admissions Deposit: Students must make the admissions deposit to secure their place in the freshmen class. Deadline: Around May 1 of each year (for fall semester). High School Transcript: Students must submit their final, official high school transcript to the Admissions Office. Failure to do so will result in a hold on the student's account. Federal aid cannot disburse until the final high school transcript has been received. Housing Deposit: Students must submit a housing deposit to secure their place in a dormitory. Students should check with Residence Life for the deadline. Orientation is mandatory for all new students. Make sure you sign up for Orientation and pay the required fee to avoid a hold being placed on your account. Orientation is held the week before classes and payment is due before the event. Immunizations: Students are required to submit their immunization records to the Weigel Health Center. Failure to do so will result in a hold on the student's account and an inability to register for classes. Health Insurance: Students are not required to have health insurance (exception: international students). Students that would like assistance in securing health insurance should refer to the following information from the Weigel Wellness Center. Book Deferments - Students whose aid exceeds their charges can request a book deferment to purchase books at the Buffalo State bookstore. Students must request deferment no later than the first week of class. Electronic Billing ONLY - The Student Accounts Office creates bills and processes payments. All billing at Buffalo State is done electronically through Banner. Students can create an "authorized user" on their bill so their parents (or others) can view the student's bill. Direct Deposit - Direct deposit forms are available at either the Financial Aid Office or Student Accounts Office. Completed forms should be returned to Student Accounts. The direct deposit request need not be renewed each semester as it stays in force until rescinded or changed by the student. Direct deposit enables the student to receive their refund directly into their bank account rather than waiting for a paper check to be mailed to their permanent address. Students with direct deposit can expect to receive their refund about 10 days faster than those without. New Student Setup: New students should review the CTS website for new students to learn the various systems Buffalo State uses. Email: The Financial Aid Office will communicate with students almost exclusively through their Buffalo State email account. Students must monitor their Buffalo State email accounts accordingly. Degree Works - Students should log into Degree Works regularly to ensure they are taking courses needed for their degree. Federal and State Aid are disbursed directly from the government to the college and applied to the student's bill. Most private loans and outside scholarships are also disbursed directly to the school on behalf of the student. All aid and payments are first applied to the student's billed charges. Only after all charges are paid will a student receive a refund. Typical Disbursement Begins After . . . .